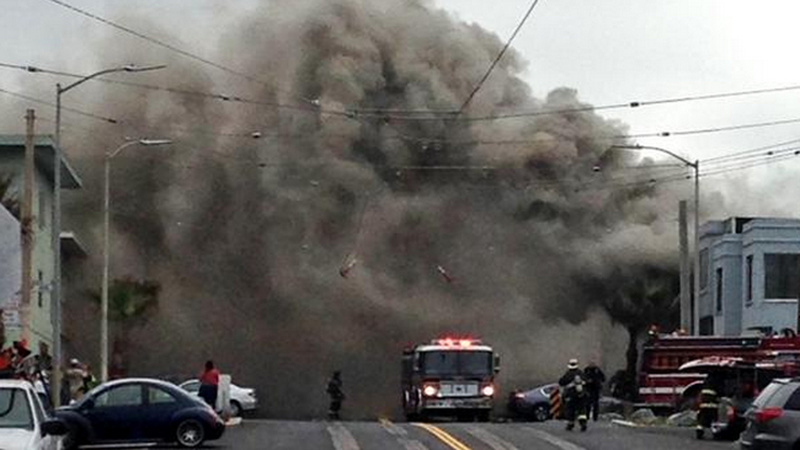 SAN FRANCISCO -- Firefighters are working to extinguish a two-alarm fire at a convenience store in San Francisco's Outer Sunset neighborhood this morning, fire officials said. The fire at Great Highway Market at 3633 Taraval St. between 46th and 47th avenues was reported at 10:15 a.m., fire officials said. A second alarm was called at 10:27 a.m.
San Francisco Municipal Railway service is disrupted, with L-Taraval light-rail trains switching back inbound at Sunset Boulevard, Muni officials said. Bus shuttles are being deployed to supplement service. No injuries have been reported in the blaze, according to the fire department.